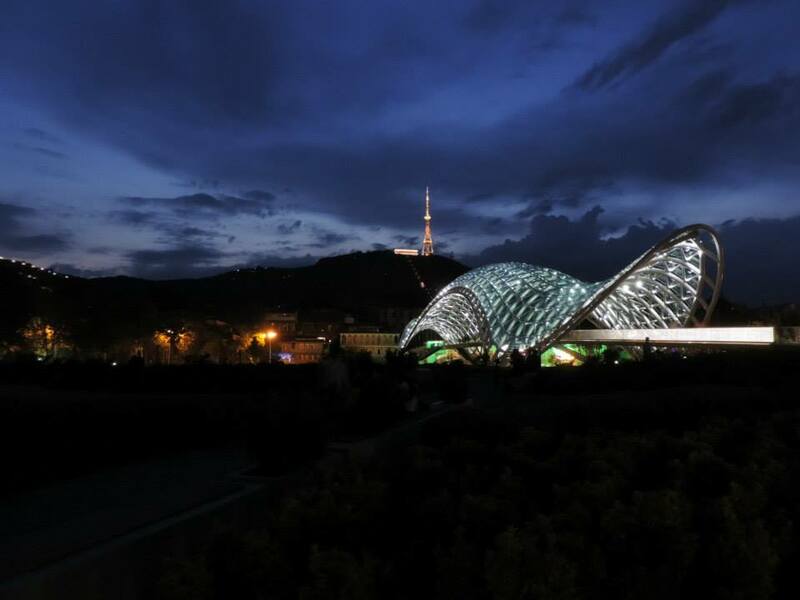 The wavy steel and glass canopy of the Bridge of Peace (Georgian: მშვიდობის ხიდი) pedestrian bridge that spans the Mtkvari River in Tbilisi is fitted with thousands of LED lights that are switched on 90 minutes before sunset, illuminating the river and the buildings on both banks. 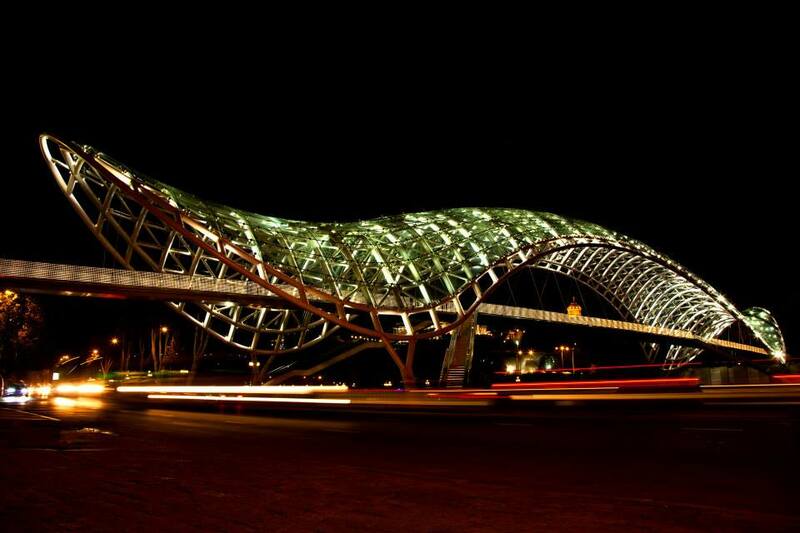 The 150 meter (490 ft) bridge was designed by the Italian architect Michele De Lucchi and was officially opened on May 6, 2010. 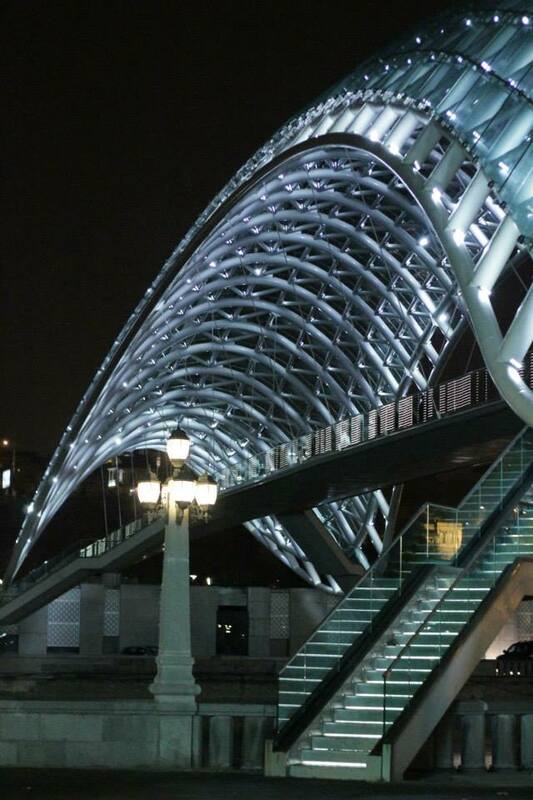 The Bridge of Peace is fitted with thousands of LED lights. 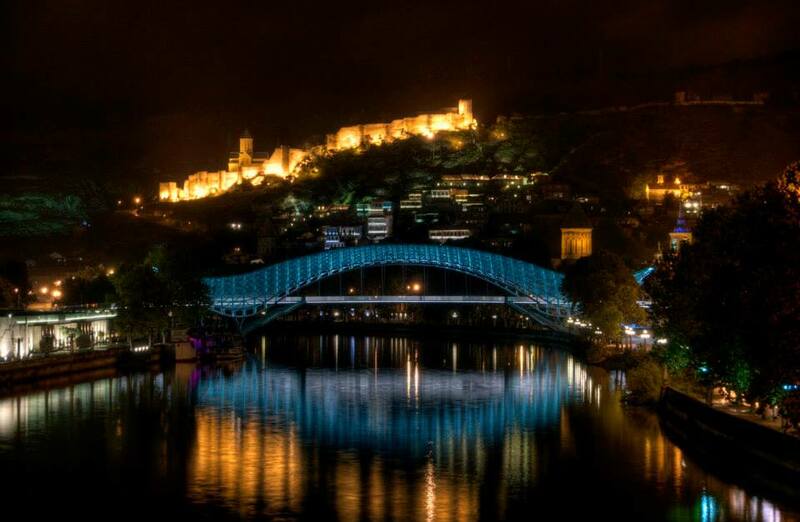 The bridge connects the Old Town with Rike Park (Georgian: რიყის პარკი), a popular public recreation area in Tbilisi. 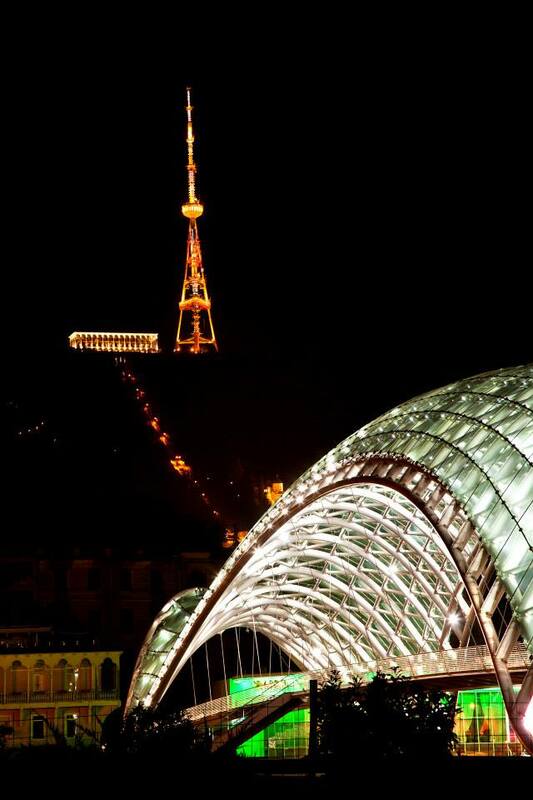 Tbilisi’s beautiful Bridge of Peace! 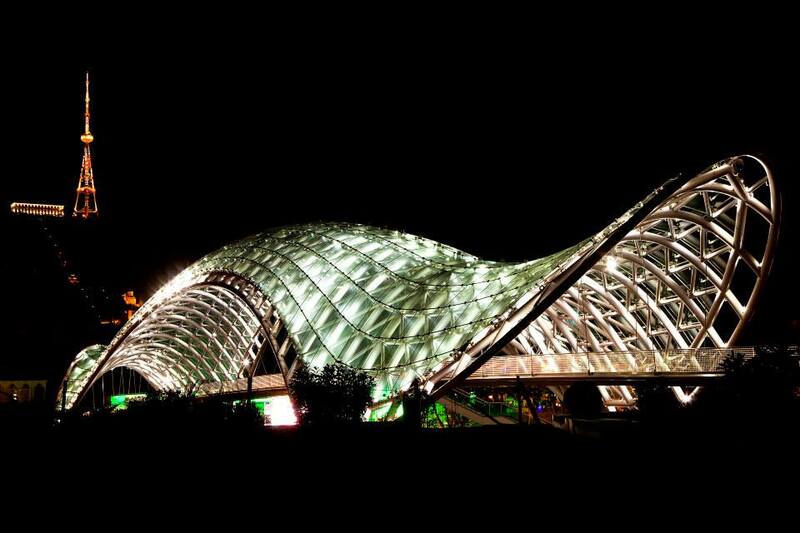 I’m happy to know that there is someone in the world who can make contemporary architecture beautiful. 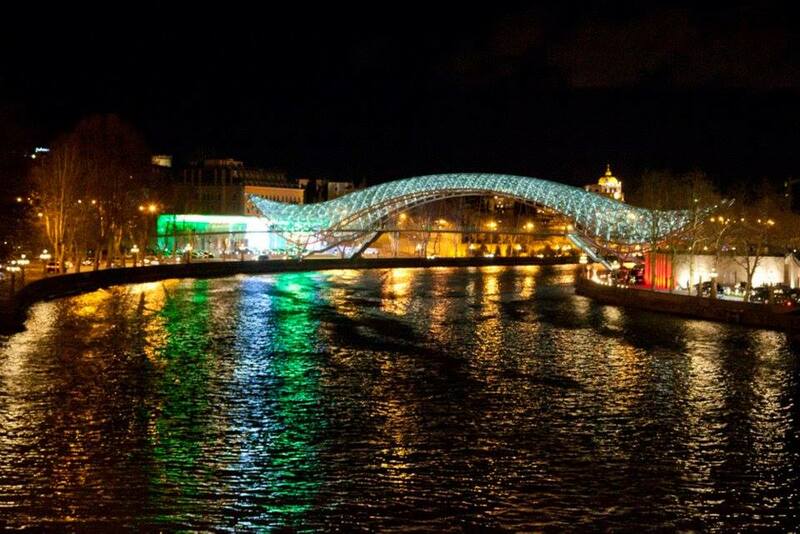 This is a spectacular piece.